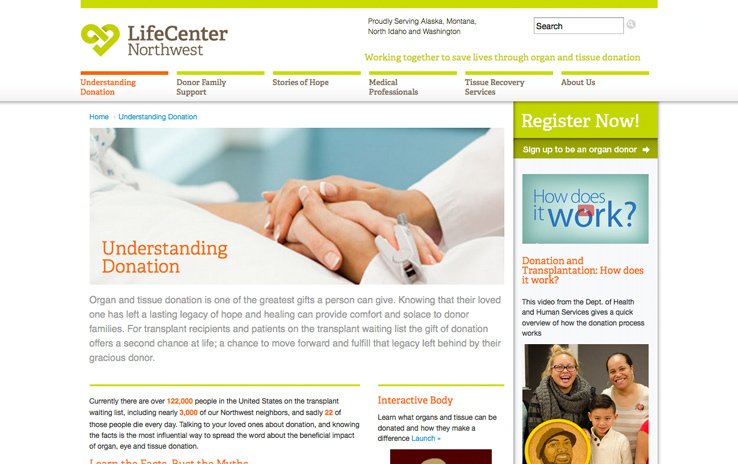 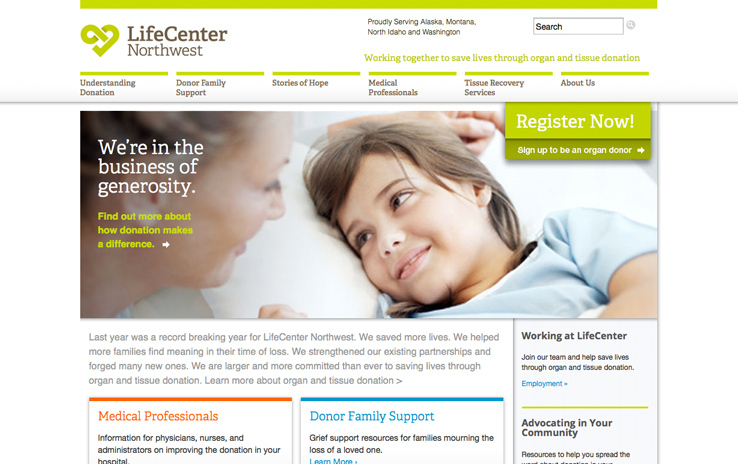 LifeCenter Northwest works with hospitals, families, and local communities to save lives through organ and tissue donation. 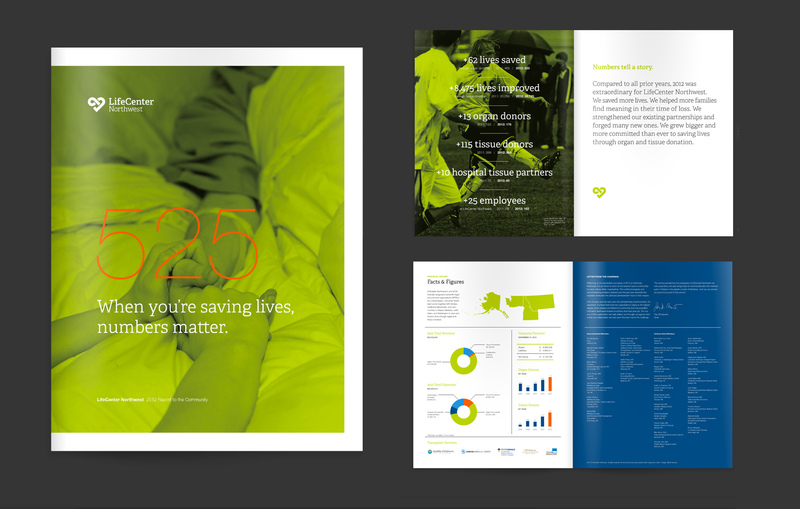 As they’ve grown into a more sophisticated and data-driven organization, they needed branding and communications that would both meet their goals and match their values. 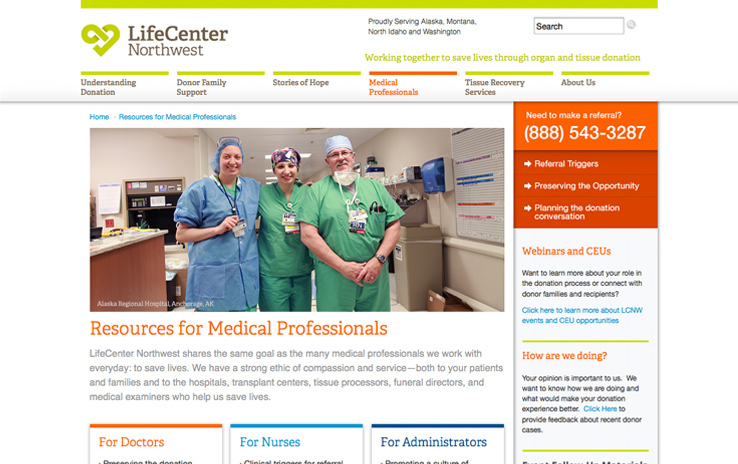 We’ve partnered with them over several years to create a new identity, website, annual report series, and numerous support materials.